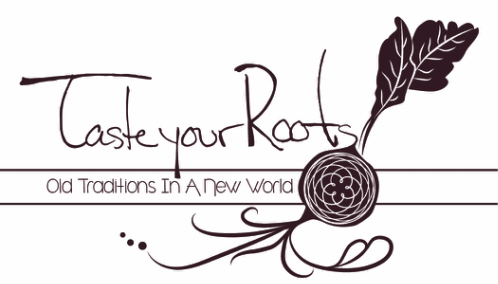 Taste Your Roots offers several hands on cooking classes that include recipes to take home, an education of the foods used, their history, as well as hands on participation in preparing the meal and a lovely feast to end the class! Classes are two to five hours long. We offer classes at home and at a commercial kitchen. To schedule classes in your home you need at least five participants and a working kitchen. Please refer to the contact page for further information. Fermentation Station: Learn how to make your own ferments including Sauerkraut, Kimchee, Sour Dough bread, yogurt and several others. Learn the history of fermenting and why it is important for our health as well as for preserving foods. Dinner includes a warm soup topped with our freshly made yogurt, Sour Kraut with a side salad, and our sour dough bread. You will also take home your own sour dough starter! The world of Spices: In this class we will learn about the spices that make up Indian cuisine, their history and their health benefits as well as learn to make curry paste form scratch. Leave feeling empowered and with a new knowledge of spices, a list of their health benefits and how to further introduce them into your cooking. Dinner will include a classic vegetarian Indian curry, brown rice, roti (indian flatbread) and raita (a yogurt side dish often coupled with curry). Hydration Station: Make your own sodas and be hydrated in a healthy vibrant way! We will make ginger beer, root beer, kombucha and Keffir. Discover the ancient practice of original soda making and how, contrary to modern day soda, it can strengthen your immune system as well as your digestive system. Dinner will include our beverages as well as a roasted veggie salad and various dips, crackers and bread that pair nicely with these yummy beverages.Take home your own ginger bug and kombucha starter! Thai Cuisine: Come learn how to make the basic dishes of Thai Cuisine. Dishes include: Green Curry, Papaya Salad, Coconut Soup and mango and sticky rice for dessert. We will also learn how to take the basic principles/flavors of Thai cooking and apply them local seasonal foods in order to create sustainable Thai themed dishes at home! Italian Mediterranean Cuisine: Learn how to make your own pasta from scratch! We will be making spaghetti, ravioli and cannelloni pasta. During class we will be demystifying the task of pasta making into an easy step by step process you can do at home. Dinner includes our three pastas as well as a fresh caprese (tomato, basil and mozarella) salad.